PUNE: Continuous improvement to remain efficient and competitive is an imperative for businesses and the role of a Business Analyst is key to the process of this improvement, writer and trainer Sandhya Jane. A Business Analyst has the responsibility of constantly taking a 360 degree view of operations and offer solutions to manage the change that will achieve excellence, Jane said. 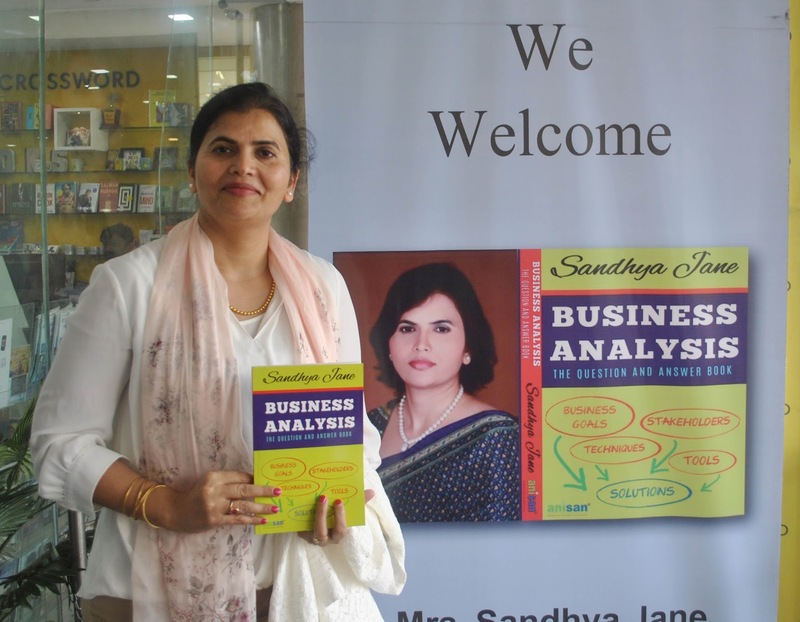 She was talking to media after the release of her book 'Business Analysis : The Question and Answer Book' in a function at Crossword Store at Aundh in the city. A Business Analyst undertakes strategy analysis, business review as well as IT systems analysis and acts as a bridge between business stakeholders and IT stakeholders, Jane said. She said there are very promising career opportunities for a Business Analyst as their contribution to organizational excellence is crucial. The book, published by Anisan Technologies, has followed a simple question and answer format and intended to help an aspiring Business Analyst to absorb the essentials of the role of managing organizational change in a structured manner, Jane said.